Despite coming within .02 of a second of her Japanese National Record and World Junior Record, Rikako Ikee fell just short of the strict Japanese Olympic-qualifying standard in the women’s 50m freestyle tonight. Veteran Japanese swimmer Rie Kaneto just surpassed her own Japanese National Record to become the first woman ever from her nation to clock a mark under 2:20.00 in the 200m breaststroke event. We didn’t see any 100m freestyle Olympic qualifiers yesterday, but we’ll see if anyone can meet the stiff Japanese standards in the splash n’ dash today. 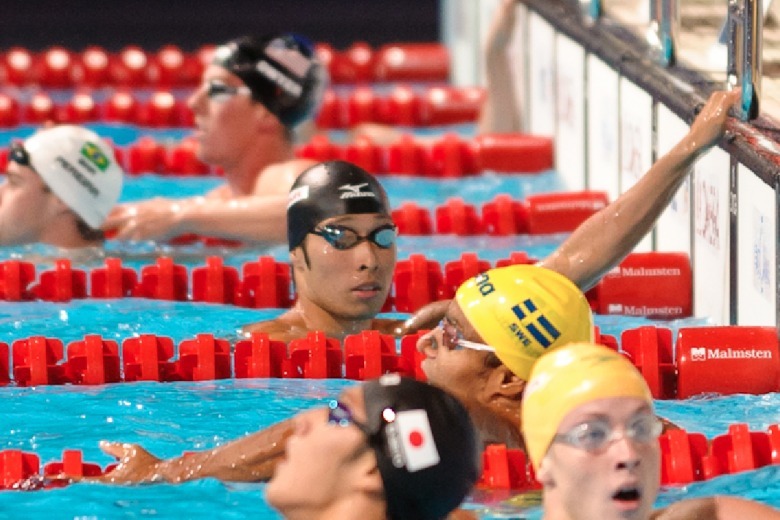 Bold, statement-making swim from 21-year-old Kosuke Hagino. 1:55.98 in the men’s 200 IM to score the #1 time in the world. At the immediate conclusion of tonight’s finals of the Japanese Olympic Trials taking place in Tokyo, legendary breaststroker Kosuke Kitajima reportedly announced his retirement. Let’s take a high-level look at the strong and not-so-strong angles of the Japanese men’s swimming team in the midst of what’s happening at Trials in Tokyo. Despite seeing 2 National Records fall during tonight’s finals, the nation of Japan is without male and female 100m freestyle representation in Rio at this point. Still chasing that 21.87 Japanese-dictated Olympic standard, the top 8 men in the splash n’ dash shuffled around a bit, but remain in the 22-low-to-mid-zone. Club Wolverine Elite-trained Junya Koga led after the prelims, but dropped down to 3rd place after the semi’s, earning a time of 22.50, his new season-best. Topping the field is last year’s 50m freestyle title winner, Shinri Shioura, who clocked a 22.25 to lead the field in the event in which he holds the national record in 21.88 from 2014. Not to be ignored is Katsumi Nakamura right in the mix as the 2nd seed, just .04 of a second behind Shioura. Nakamura is riding the wave of his 100m freestyle victory from earlier in the meet in which he set a new national record in a time of 48.25. The key players soared to the top of the semi tonight, led by the former national record holder, Miki Uchida. After scoring a time of 25.91 in prelims, Uchida hacked off .71 of a second to land a top seed of 25.20 headed into finals. With as stiff an Olympic-qualifying time as 24.59, however, Uchida has another .61 of a second to which to give the ax if she hopes to make the Rio roster in the splash n’ dash event. The on-fire youngster, 15-year-old Rikako Ikee, maintained her 2nd seed after semi’s, closing a time of 25.30 to drop almost half a second from her morning mark of 25.76. She holds the national record at 24.74 from just over a month ago, so she’s proven she’s capable of getting within striking distance of the Rio standard. For both the men’s and women’s 50m freestyle, the Japanese Rio-qualifying standard sits faster than the national record, pointing to the fact that the federation expects world-class sprinters to represent the nation, capable of finaling in a field with the likes of Florent Manaudou of France for the men and Sarah Sjostrom of Sweden for the women. As in the freestyle races whereby no male dipped beneath 22 and no female ventured below 25, the men’s 100m butterfly has yet to see a competitor take a jaunt into 51-point-land. Takurou Fjuii remains in the top spot as he was after prelims, lowering his morning swim of 52.49 to a new season-best of 52.22, at 30 years of age. Takeshi Kawamoto, who is 1 of 2 Japanese men holding a spot in the top 25 of the world rankings headed into the meet, clocked a time of 52.59, much swifter than his 53.19 morning outing. He’s ranked 20th in the world with a 52.44, but he’ll need to obliterate that season-best mark to score an automatic-qualifying time of 51.64, the tough standard set by the JPN federation. Also in the mix is Masayuki Umemoto and Masato Sakai, who hold the 3rd and 4th seeds in semi marks of 52.73 and 52.85, respectively. 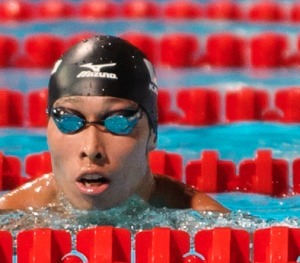 Sakai has already booked his ticket to Rio finishing as the silver medalist behind Daiya Seto in the men’s 200m butterfly event, reaping a Japanese-dictated Olympic standard in the process. As predicted by the looks of the prelims, the Japanese women are having a hard time breaking through the 2:10 barrier in this event, let alone come close to the Olympic-qualifying standard of 2:08.76 needed to represent Japan Rio. Natsumi Sakai came painstakingly close to the 2:10 hump, stopping the clock at 2:10.00 exactly to knock over a second and a half from her 2:11.72 morning swim to come away with the top seed. Yuka Kawayoke dropped down a spot from her morning finish, claiming the 2nd seed in this round in a time of 2:10.48, logging about a half a second improvement. Two other women are in the 2:10-mid/high zone in the form of 3rd seeded Mayuko Gotou in 2:10.53 and 4th-seeded Marie Kamimura in 2:10.94. The women had a rather rough go at the 800 freestyle as no competitor was able to claim the Japanese Olympic Standard of 8:25.86, or come within even at least 5 seconds of it, for that matter. Miho Takahashi, who led after the prelims, earned gold in the event, stopping the clock at 8:36.84. She was just a few tenths ahead of runner-up Asami Chida, who improved upon her 3rd seeded prelim swim of 8:43.29 by finishing in 8:37.08. Asari Wada raced her way to a bronze in a time of 8:39.08, representing the only other swimmer to fall under the 8:40 marker. Entering the meet, the Japanese contingency held 4 of the world’s top 10 times in this event, previewing the high-caliber of talent vying for the 2 Olympic roster spots. When all was said and done tonight, 2 swimmers raced their way to Rio, beginning with the Japanese National Record Holder, Ryosuke Irie. For having a season-best time of 1:55.42 headed into this meet, it was reasonable to assume the 26-year-old would venture into the 1:55 territory (or even below) in his quest for a roster spot. Instead, Irie actually played it a little close, coming just half a second under the qualifying standard, winning the gold in a time of 1:56.30. That kind of outing isn’t going to cut it against such fierce rivals as Australia’s Mitch Larkin or America’s Ryan Murphy, so, although he earned the all-important ticket to Rio, Irie’s got to step things up once he gets there. Joining him will be Masaki Kaneko, who rocketed himself from the 5th seed after semi’s to the silver medal position in a time of 1:56.52. That mark also clears the Japanese-dictated Olympic standard of 1:56.79 and gives the Japanese two men to contend for a medal at this summer’s Games. Rie Kaneto made a statement earlier this year by registering a new Japanese National Record of 2:20.04 while competing at the Aquatic Super Series in Perth. But she broke a new barrier tonight, becoming the first Japanese woman in history to clock a sub-2:20 200m breaststroke time, winning gold and claiming her Olympic berth in a stunning time of 2:19.65. Of note, Kaneto is 27 years of age. Kaneto blew away the field, which included Kanako Watanabe, the woman who won the World Championship title just last summer. That title may be her only saving grace in qualifying for the Olympic team, as her time tonight of 2:23.54 falls short of the OLY standard of 2:23.21. 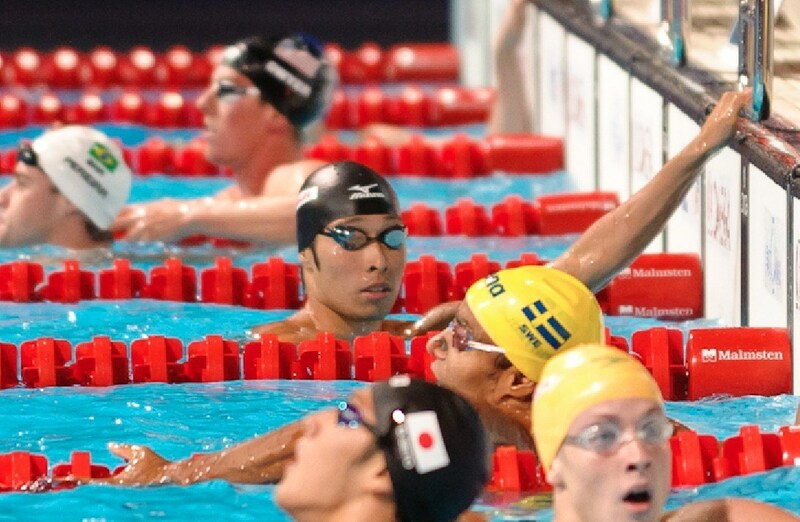 Earlier in the meet, Daiya Seto missed out on the qualifying cut in the men’s 400m IM, but was named to the Olympic roster in the event due to the fact that he is the reigning World Champion. We’ll wait for official word for Watanabe’s case. The 15-year-old wonder, Runa Imai, improved just slightly upon her 2:24.85 semi mark to close out with a 2:24.29 with a bronze medal tonight. Along with the women’s 200m breaststroke, the men’s 200 IM was the race was the marquee event of the night, as multi-event prodigy Kosuke Hagino took to the pool again to follow-up his already stellar 200m freestyle and 400m IM performances. As expected, Hagino took it out hard and never looked back, racing his way to a new Japanese National Record in 1:55.07, lowering his own pervious mark of 1:55.33 from the 2014 Asian Championships. 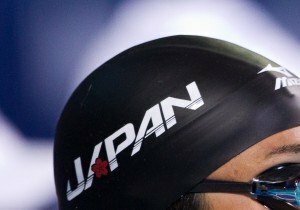 Already ranked as the fastest in the world this year via his semi swim, Hagino’s statement-making performance tonight now positions him as the 3rd-fastest performer of all time, surpassing Hungary’s Laszlo Cseh to sit only behind mega stars Ryan Lochte and Michael Phelps of the United States. Splits for Hagino include 24.43/28.43/34.08/28.13; further analysis will be presented in a separate post. Shocking, however, is the fact that Hagino’s usual partner-in-IM-crime, Daiya Seto, finished out of an Olympic-qualifying position. Not only did Seto clock a time of 1:58.30, off his season-best of 1:57.72, he finished in 3rd place. Taking advantage of Seto being off his game is 24-year-old Hiromasa Fujimori, who flew to the wall in a time of 1:57.57, well ahead of the Olympic standard of 1:58.02. Seto already qualified for the Japanese Rio roster in the 400m IM (via being World Champion) and also in the 200m butterfly, but he was a favorite to also earn a berth in this event as well. For the top-5 fastest all time, could there also be a list of textile only times? Suit times are irrelevant in 90% of cases and conflate the picture. After a lot of researches on youtube, my Japanese is pretty weak, I’ve found some very interesting race videos.